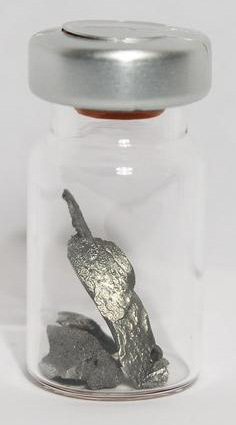 Lutetium (Lu) is a metallic element of the lanthanide series, first isolated by G. Urbain in Paris in 1906 (and independently by C. James in New Hampshire), together with ytterbium; its name comes from Lutetia, the Latin word for Paris. Its chief ore is monazite. The element is used as a catalyst, but has no other commercial uses. Its most common isotope is 175Lu (97.41%).